One of the interesting aspect of cooking that I have been always interested in would be in storing and checking out how to use different techniques in cooking. Freezing and storing food in the right way would surely fall under that category. 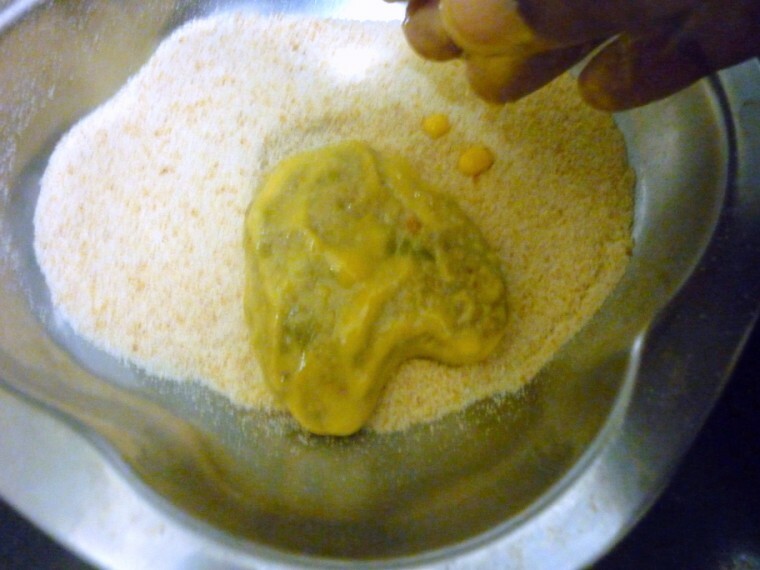 Though to be frank, when all the hassles that’s involved in prepping and storing food for later usage, I find cooking on daily basis was much easier for me. Still I wanted to experiment on that. That was the reason why I had the theme to have prepped food for later cooking. Though I wanted to take up that theme, I was not able to. So the next best was to see how one would store and use for later times. 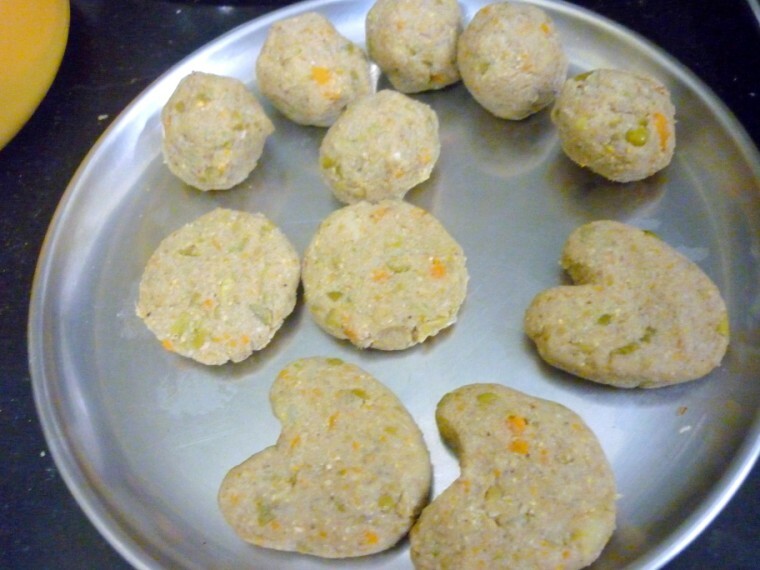 One of that was making those vegetable cutlets and freezing them. 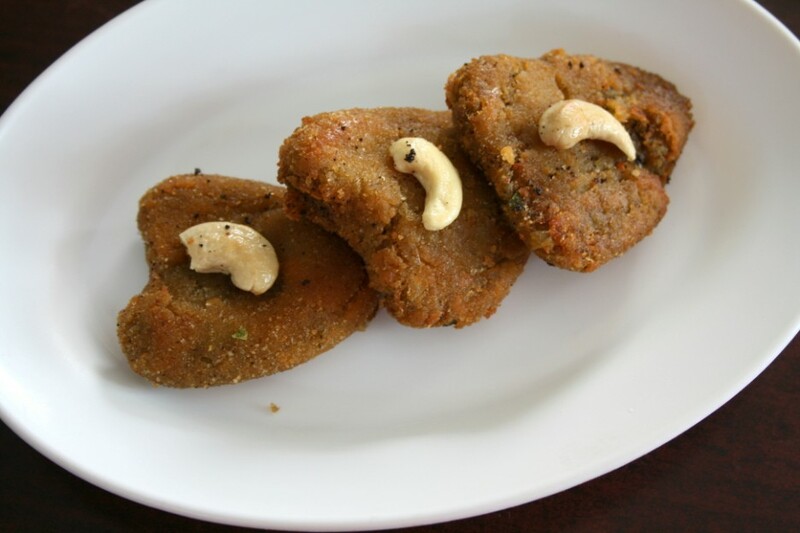 Having these ready would make our job so easy when we have unexpected guests coming over and you can quickly fry these cutlets for a quick snack. I made this and tried when I made the Vegetable Cutlets. Though I was able to store them only for a day as the demand for the cutlet was so much that they just disappeared the same day! Follow the recipe and get all of them shaped and place them on a plate. 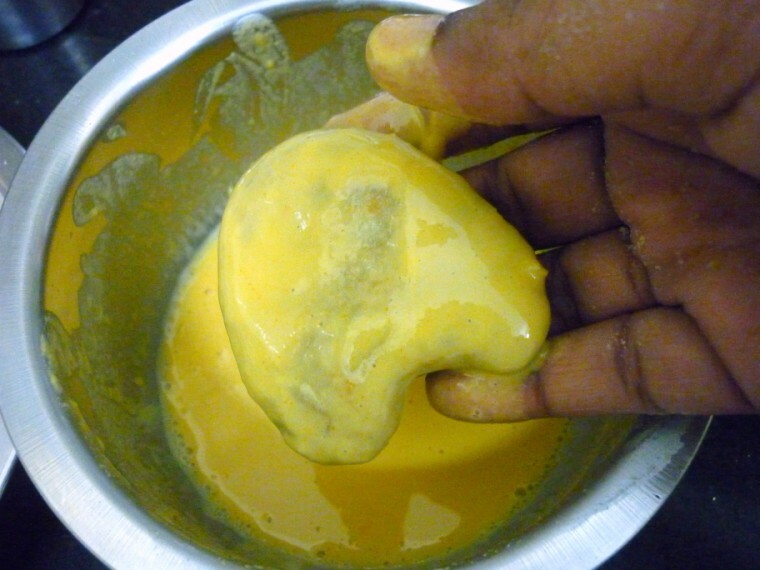 Get the outer dipping sauce ready and dip the cutlets into the mix and make sure it covers all over. 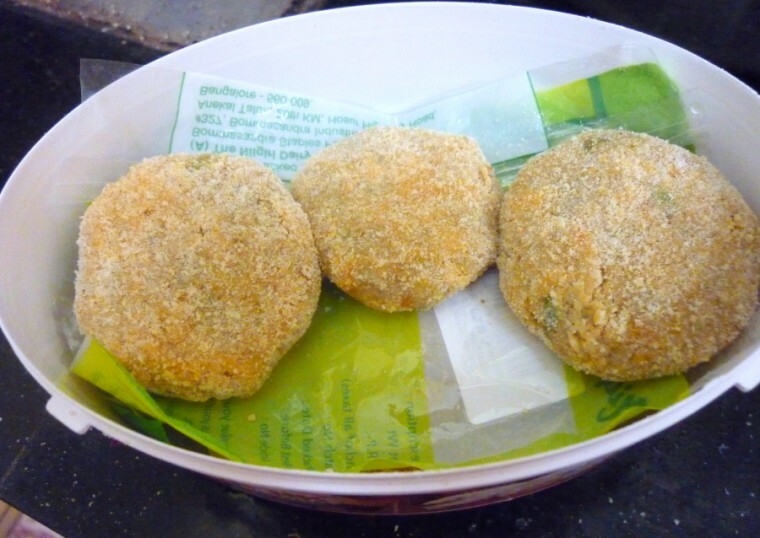 Get the bread crumbs ready and roll the dipped cutlets over the crumbs. Allow to dry for 10 to 15 mins. Take a dry box, plastic sheet, grease with oil. Cover the bottom of the box with the plastic. When the cutlets are dry, place them on the sheet and continue placing other cutlets. Make sure each has space and not crowded. I had packed about three on each layer. 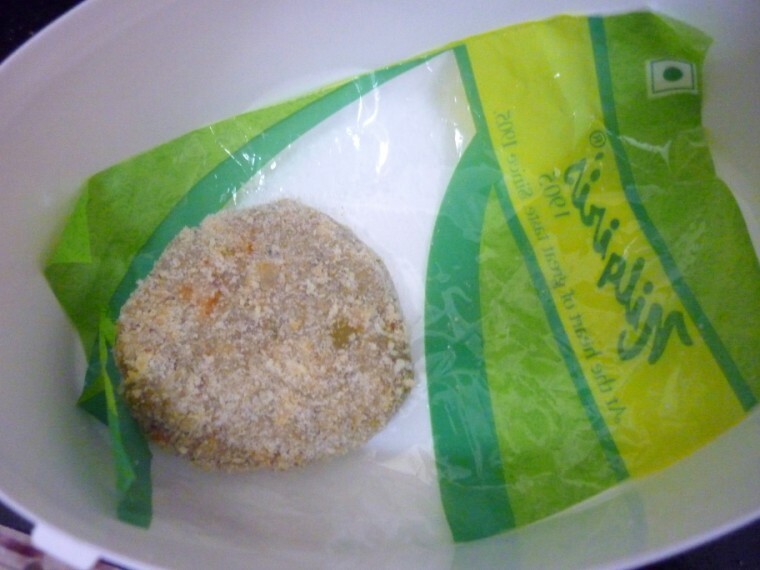 Cover with the lid and freeze. When you need to make them, simply take them out, I felt there was no need to thaw too. I deep fried these on low flame for initial 5 mins, then increased the flame to medium, making sure the cutlet is cooked all over. 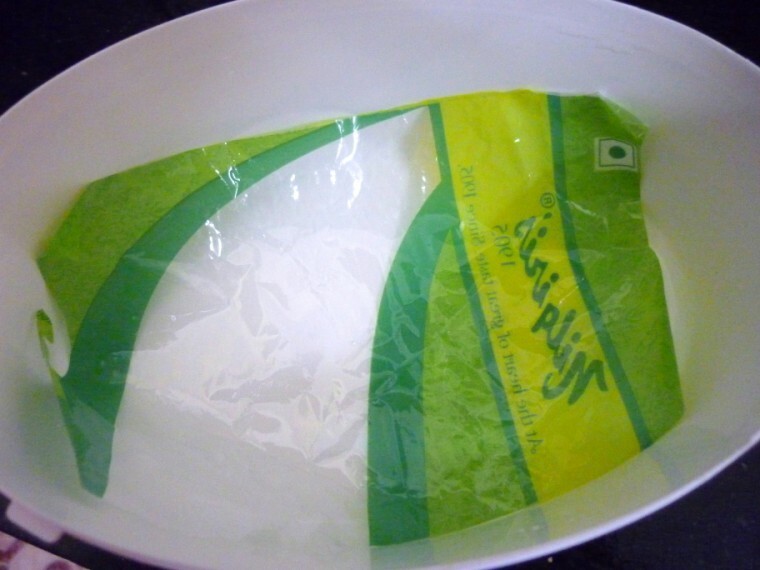 I do freeze rotis this way, useful tips for many of us..
Never tried freezing cutlets .. but I freeze chillies, ginger, cooked channa, etc. I was trying to find out how to freeze vegetables, soups, sabjis, and actually just about anything – anything that helps me save time. Learnt how to freeze wheat flour dough from SMTC.com but used to usually forget leaving the dough out several hours to be thawed! My cousin naniji who's been in US past 40 years does a lot of freezing because of juggling between so many responsibilities. 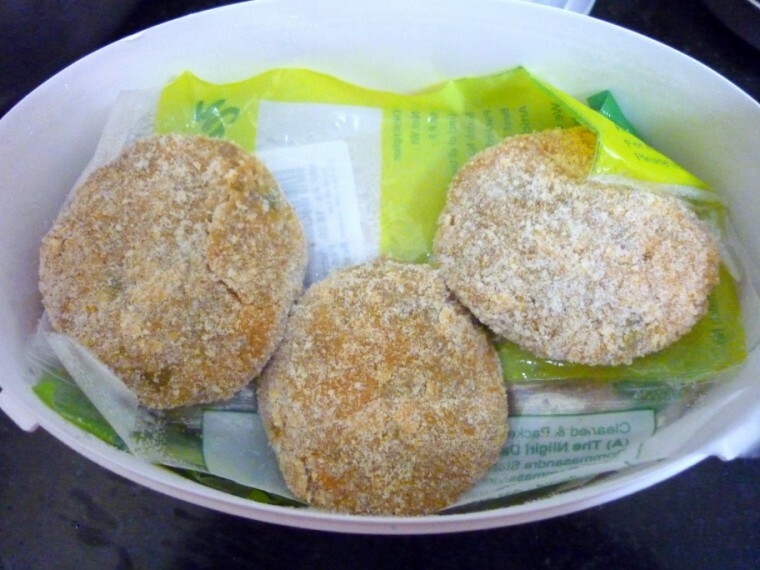 Great tip on freezing cutlets Valli. Will definitely make for a quick snack in a hurry. This is such a time-saver! My son would love this snack!